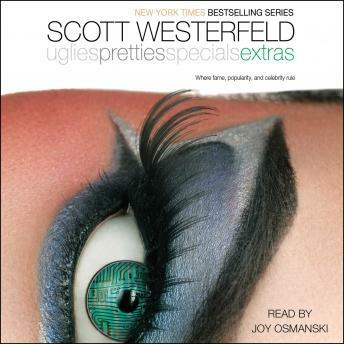 The final installment of Scott Westerfeld’s New York Times bestselling and award-winning Uglies series—a global phenomenon that started the dystopian trend. A few years after rebel Tally Youngblood takes down the Specials regime, a cultural renaissance sweeps the world. “Tech-heads” flaunt their latest gadgets, “kickers” spread gossip and trends, and “surge monkeys” are hooked on extreme plastic surgery. Popularity rules, and everyone craves fame. Fifteen-year-old Aya Fuse is no exception. But Aya’s face rank is so low, she’s a total nobody. An extra. Her only chance at stardom is to kick a wild and unexpected story. Then she stumbles upon a big secret. Aya knows she is on the cusp of celebrity. But the information she is about to disclose will change both her fate…and that of the brave new world.